It’s their first win of the split. Team WE did the impossible and upset EDward Gaming earlier today. The 15th place team in the LPL, previously without a win to their name, came out the gates swinging and pummelled the overwhelming favorites 2-0. And the 2019 season is no different. Team WE have been at the bottom of the tables, clawing for a win, having lost their two opening games. The team looked hopeless versus the likes of EDward Gaming. EDG are another team that are dramatically less threatening than their former lineup, but they did participate at last year’s World Championship and were sitting comfortably in the top five of the LPL standings. 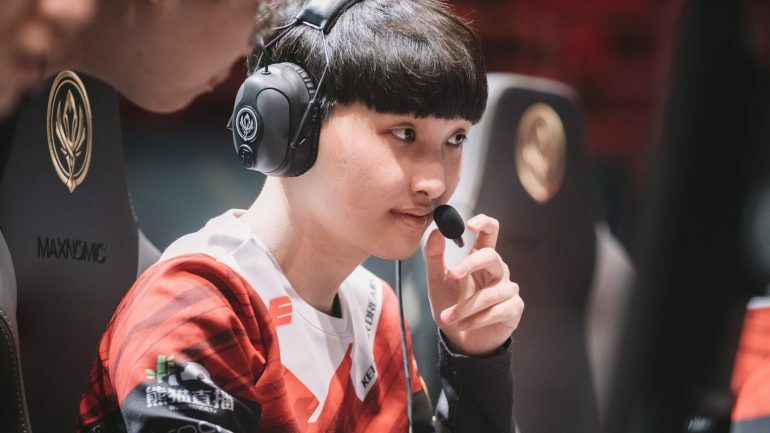 It looked like another game where EDG’s Korean mid laner Lee “Scout” Ye-chan would let loose, alongside AD Carry Hu “iBoy” Xian-Zhao, and snowball out of control. But Team WE had other ideas. Team WE took the fight to EDward Gaming, taking advantage in the early stages of the game, and picking up multiple kills. EDG suddenly looked like the underdogs. However, the game slowed down and they made the all-important come back. They were behind in kills, but even in gold. It felt like it was going to be another inevitable late game win from EDG. They pressed their advantage, and headed into a team fight. It was close, but WE came out on top, with substitute Jin “Mystic” Seong-jun tearing them to pieces with Vayne before destroying the Nexus. The next game was much simpler. EDG were on the back foot, and WE were full of confidence. Instead of holding back, they pressed on, obtaining a huge early game gold lead, before securing the Baron, and taking home the 2-0 victory. It was an extremely positive series from Team WE, slingshotting them up to 12th place. It’s a victory that will no doubt give the team a new-found confidence going into their next match versus FunPlus Phoenix—currently second in the standings. Team WE will play their next game after the Chinese New Year celebrations on Feb. 17. The LPL will be on a hiatus beginning tomorrow, Jan. 30.